We’ve had a lot of fun on this trip and done some wonderful stuff. However, visiting Milan was not one of them. First, it’s hot here. 32° C (90° F) and most buildings are hotter inside. Nonetheless, the National Museum for Science and Technology Leonardo da Vinci was a good find. We saw models of many of Leonardo’s inventions and some other exhibits, including a recreation of a circa 1950 steelworks. Which one is the golfer? 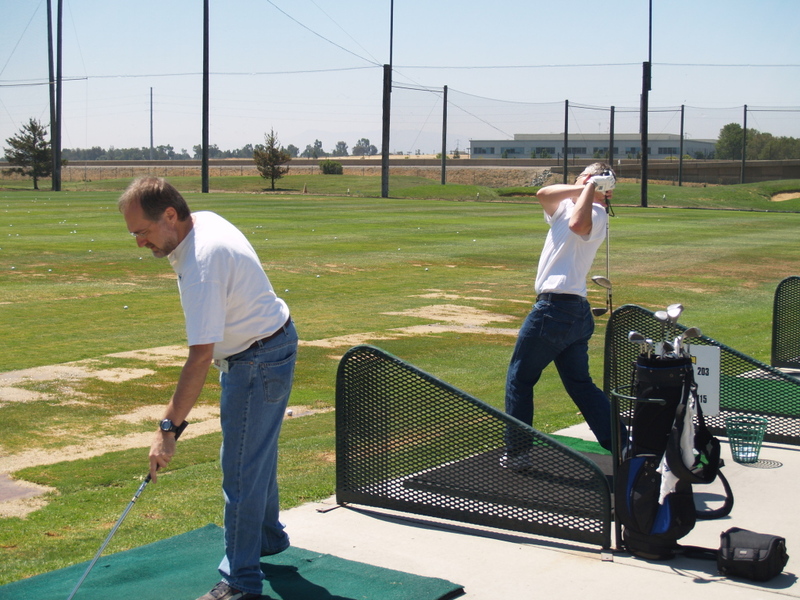 On Tuesday, some of us went to the driving range at lunchtime. The man in the picture who has his own clubs and looks like he’s done this before is Ted, my boss. I’m the one who’s trying to rake the mat. This driving range is across the river from TiVo’s offices. I offered a reward to anyone who could put a ball through their window. I’ve been at work in San Jose all week. This afternoon I’ll be back on the road. Planning to spend the night in Ashland again. Quiet day with the Smiths in San Jose. Played with toddler. Poked at my laptop for a while. Ate three meals. Hung out. Checked into my hotel at 9:30 pm. Today I’m writing a travel ‘blog. I’m in the middle of a short road trip to California. Yesterday after work I drove down to Ashland. 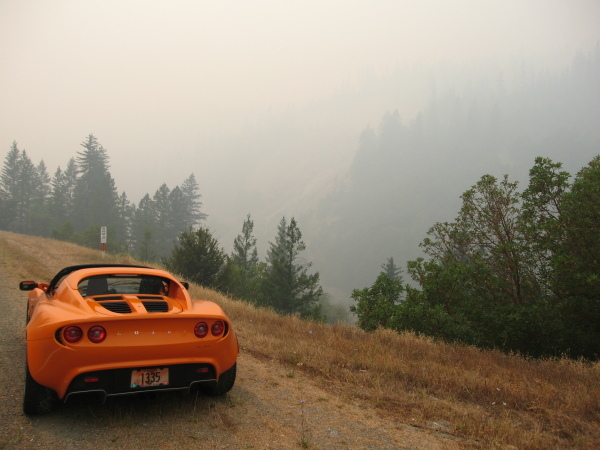 Today I drove through a forest fire, found the Travel Log, and entered the Bay Area.